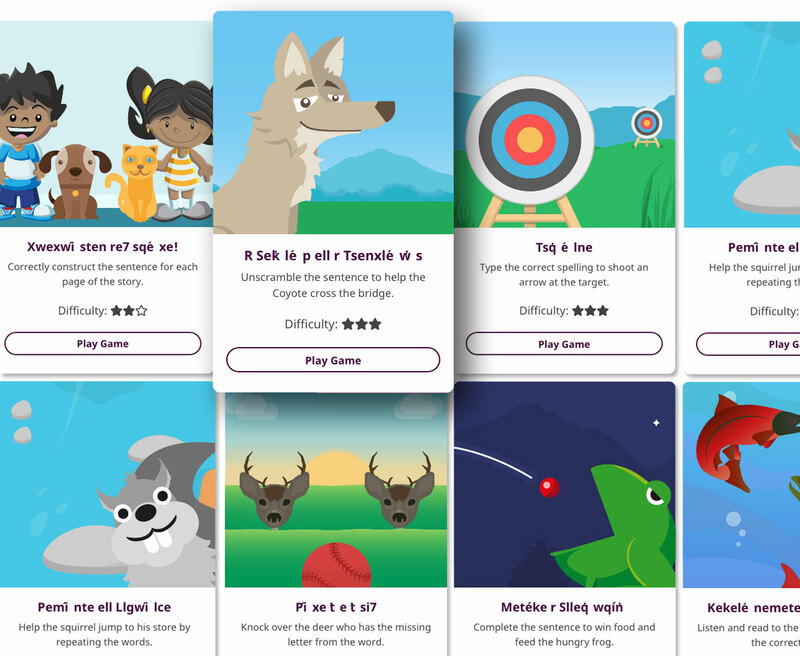 Jetpack Learning has collaborated with a First Nation School in British Columbia, Canada, to create seven games in the Secwepemc language. Established in 1991, Chief Atahm School offers children from the surrounding First Nation communities of Adams Lake Band, Neskonlith and Little Shuswap the opportunity to learn and be immersed in their own Indigenous language and culture. Kathryn Michel, Language Education Specialist at Chief Atahm School consulted with our instructional design team to establish which Rapid Gamification Templates would best suit her learners’ requirements. Jetpack games are designed to run in a web browser on desktop, laptop, tablet and mobile devices which means they can we accessed virtually anywhere. There are over 50 game templates to choose from, which can be very quickly customized with the client’s own content. As well as being able to change the text, Jetpack can also tailor the graphics and audio files for each game. Jetpack games can be integrated into the client’s own website or be hosted on the Jetpack platform, as is the case with Chief Atahm.